If you have a prison break or convicts Hen Night coming up, consider this amazing Convict Plastic Ball and Chain! Whether simply a great accessory to your fancy dress costume, or a ball and chain to symbolise your husband-to-be(! ), this is a great accessory to finish off your look! It has a button clip to attach comfortably to your ankle, and is made with a lightweight plastic, so it won't be a bother to wear. For any convict fancy dress costume, this is a unique, must-have accessory! This product will go great with our Fancy Dress Convict Striped Opaque Leggings and, if you want to accessorise your convict outfit from head to toe, our Robber / Bandit / Convict Eyemask can finish off your dastardly look! 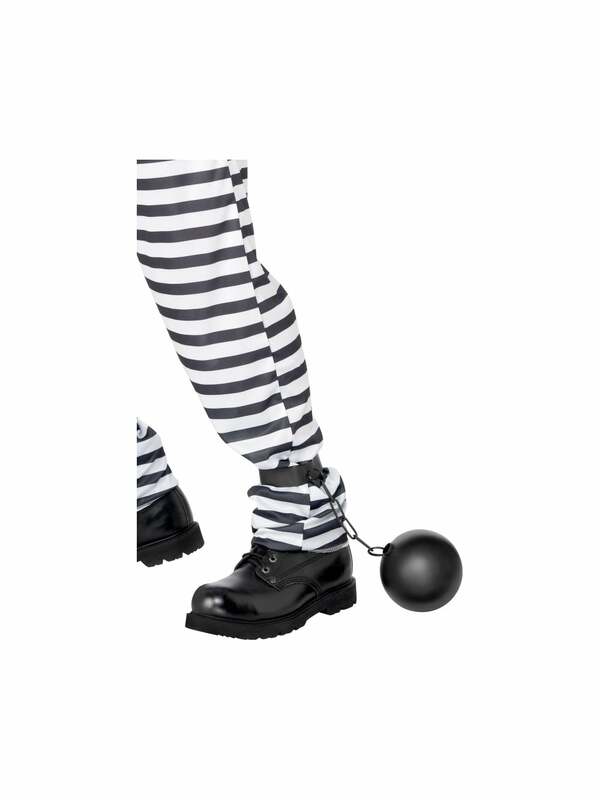 Grab our Convict Plastic Ball and Chain today! We can't imagine it's easy to get a costume together when you are on the run from the law, so our Next Day Delivery option is perfect for last minute outfits! This is small and light but worked a treat. Excellent value.